Providing affordable, humane fox control in San Diego, Temecula, and Orange County. Request a Free Fox Control Quote Today! When you discover wildlife on your property, you might not be sure what to do. You may feel scared and nervous, and rightly so — many wild animals can act in unpredictable ways when they sense they are in danger. Foxes can be particularly dangerous and aggressive, especially if they feel threatened or feel that their cubs are in harm’s way. Our San Diego County wildlife control team has the skills and experience needed to trap and remove foxes in a humane manner, ensuring safe relocation for the animal and effective removal services for property owners. If you have a fox problem on your property, don’t take matters into your own hands — contact our team of expert technicians today for help. We are happy to provide you with a free quote for fox trapping, removal, and exclusion. Why Choose Us for Fox Trapping and Removal Services? Foxes living on your property should not be taken lightly. Foxes can be dangerous and extremely aggressive, and mother foxes will defend their young if they feel threatened. That’s when it’s time to call in the local fox trapping and control experts at Wildlife Removal Services. Foxes will typically make dens under sheds, or outbuildings, under decks, or any structure that would provide safe cover. Most fox control jobs we are called to involve foxes living under a structure that protrudes into a canyon. Even in urban areas, with homes that are relatively close together, foxes can thrive. Very aloof and cunning, foxes can travel neighborhoods and backyards without being seen. Should I Have the Foxes Removed? Foxes can be very aggressive, and they can be a nuisance by burying their caught-prey in shallow graves until they are ready to feed. They are dangerous, largely because of the diseases and parasites that can be harmful to your pets and family. These include fleas, ticks, leptospirosis in urine-contaminated soil, not to mention the fact that foxes are known to be carriers of rabies. A wildlife control technician from Wildlife Removal Services is happy to review the process of fox trapping, fox removal, and fox control with you. 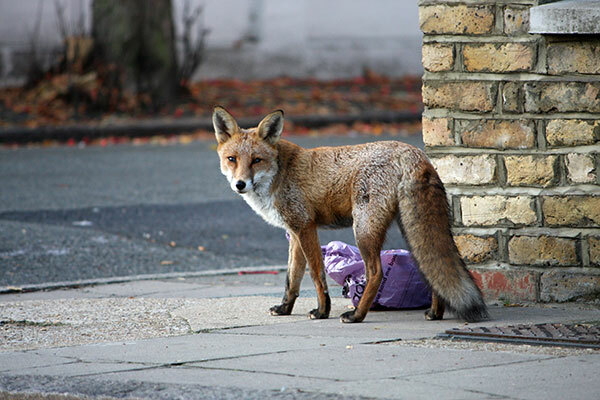 With fox prevention, safe and effective fox exclusion, and cleanup of the denning area, our technicians can professionally handle your fox problem. Call the critter catchers of San Diego, Temecula, and Orange County today!